One of our kind supporters, Anne Mynssen-Pressburg, left a gift of £50,000 in her Will to ZSL for tiger conservation. Her wonderful gift has helped us to continue our tiger conservation breeding programme and our tiger conservation work in the field. There are five subspecies of tigers left in the world - these are Indian (Bengal), Amur (Siberia), Sumatran (Indonesia), Indochinese and South China tigers. The tiger as a species is listed as Endangered on the IUCN Red List. Sumatran and Amur tigers are Critically Endangered. A meeting in 1994 estimated that about 500 Sumatran tigers remained in the wild, it is certain that there are less now. Tigers are at the top of the food chain and are often the first to suffer when there is pressure on the environment. These top predators need large home ranges and so their conservation requires careful management of whole landscapes. Two-thirds of carnivore species are currently threatened by habitat loss and degradation, trade in wildlife parts and direct conflict with humans. ZSL is involved in tiger conservation projects around the world including the Jambi tiger project in Sumatra, the Sunderbans tiger project in Bangladesh, the 21st Century Tiger project, and ALTA Amur tiger conservation. 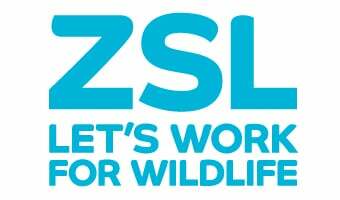 ZSL are also part of an international community of responsible zoos running co-operative breeding programmes. ZSL co-ordinates the tiger breeding programme for all European zoos. This kind legacy gift has helped to fund our tiger conservation work and secure a future for tigers, but more funds are needed for their successful conservation.